In 2000 Rugby Art Gallery and Museum acquired a collection from Reddings, a local photographer’s studio, containing around 25,000 glass plate and cellulose acetate negatives dating from the mid-1950s to the mid-1970s. Predominately studio portraits, the collection also contains negatives of local businesses, product shots, local events and weddings. Largely due to lack of resource it has remained uncatalogued and in its original packaging. 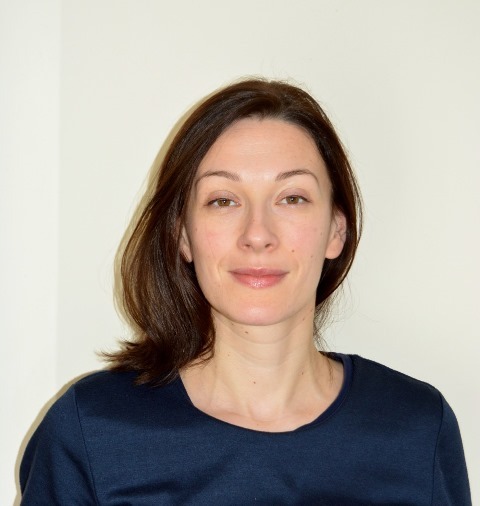 Having the opportunity to research the collection and its needs through an Understanding British Portraits Fellowship was a real opportunity to explore this archive for the first time. My research focussed on the only part of the collection which had been digitised some years ago (totalling 200 portraits). We have always known that information about the portraits is with the local community the studio served. I wanted to find out who these portraits were of and what their stories were. I also wanted to increase my understanding of the care these negatives need. A small display and a local call out for information brought people forward and gave visitors the opportunity to identify portraits and give us new details, such as names, dates, other family members and what people did for a living. One prominent theme the collection captures is the changing population of the town as Rugby saw a huge influx of people from Pakistan and the Caribbean during the post-war employment boom. Rugby had a strong electrical engineering industry and at this time work was plentiful. 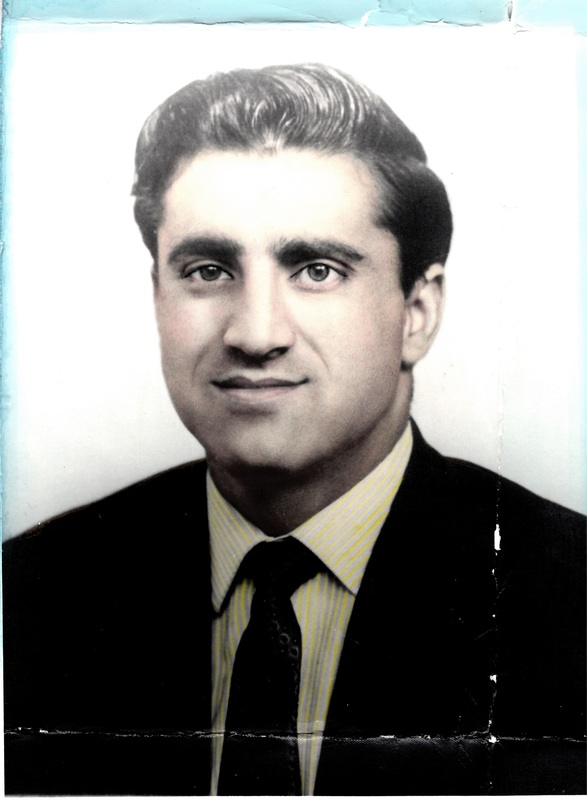 One portrait was of a Mr Hanif who came to Rugby from Pakistan in 1962. His wife joined him four years later. He first had his portrait taken at Reddings alone when he arrived, then in 1966 with his wife and finally several with his family through the 1970s. 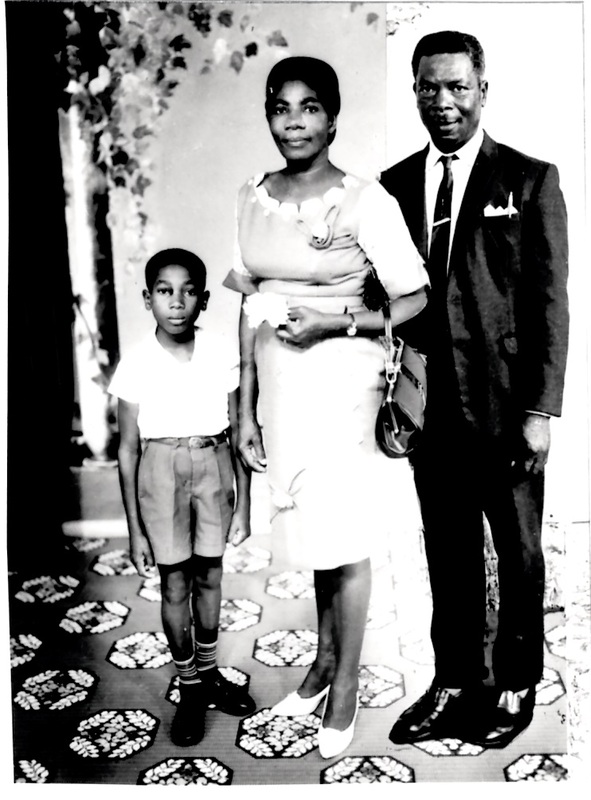 Portrait of Mr Hanif in the 1960s. 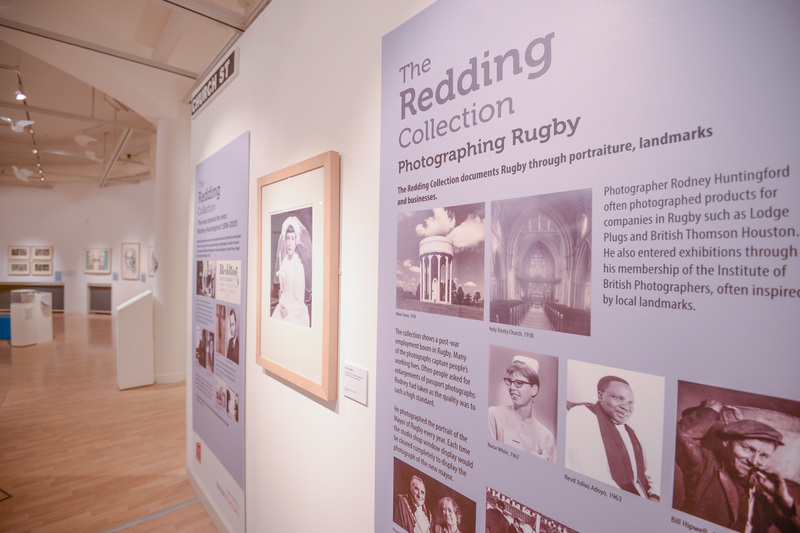 Redding collection, Rugby Art Gallery and Museum. 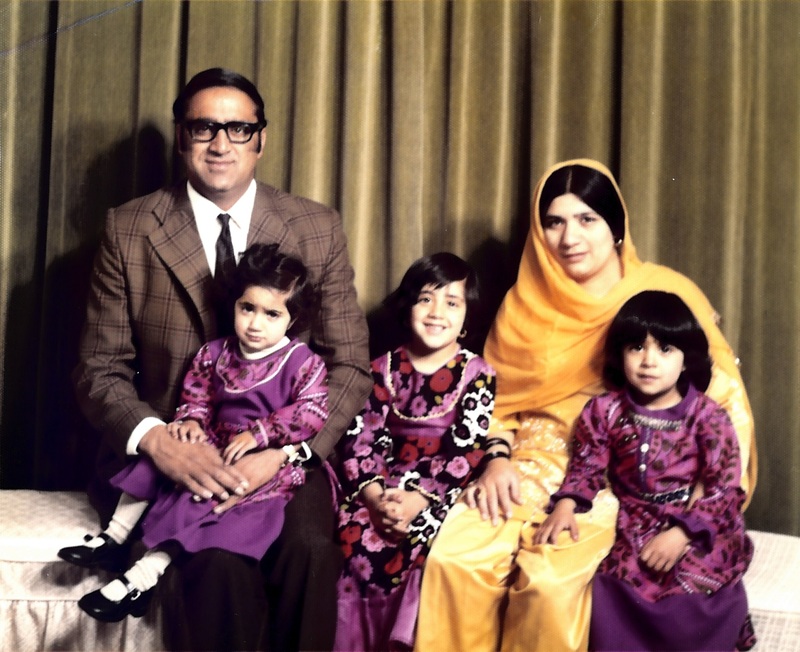 The Hanif family in 1975. Redding collection, Rugby Art Gallery and Museum. 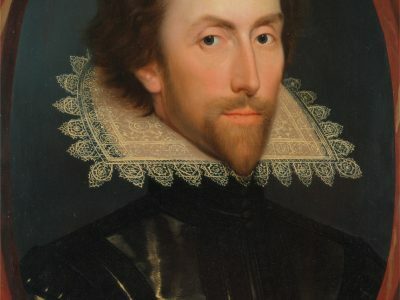 People used portraits to show their success since arriving to the UK by dressing in their finest to have their photographs taken for their families. Having the time to study these photographs also allowed me to discover how the photographer used a technique to reunite families by creating entirely new portraits splicing photographs together. 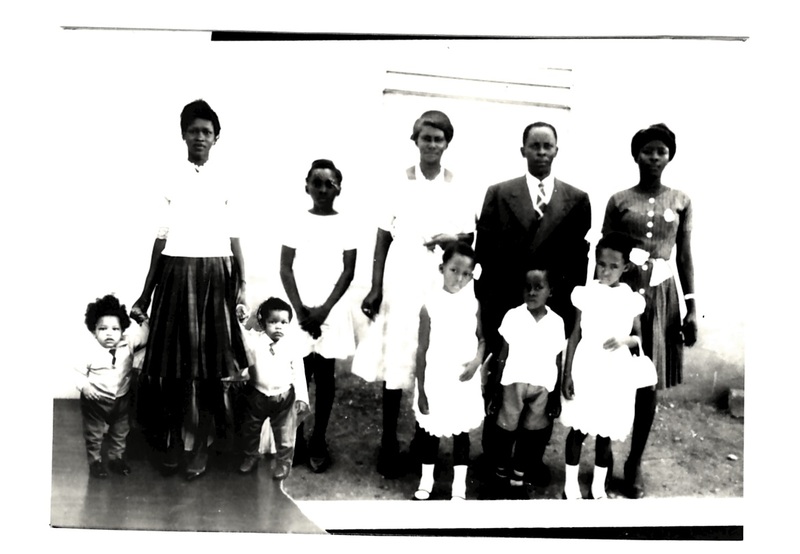 I came across several examples of portraits where a sitter had brought along a family photograph to re-photograph and splice together with one from the studio. 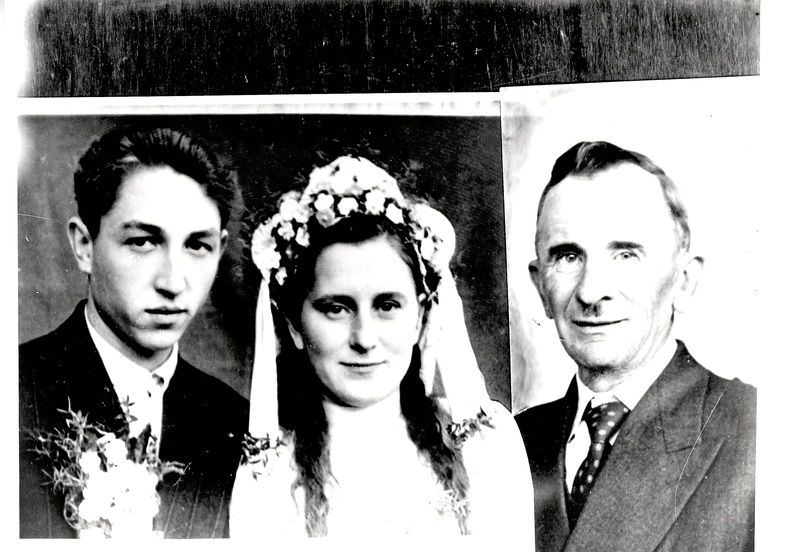 Unfortunately, I did not receive more information about the lives of these people, but the portraits clearly show the intention -they allowed a Polish father to be present at his child’s wedding; reunited a father with his wife and child in the Caribbean and a mother and two children at a family gathering. I recorded interviews during my research, some of which have been added to our oral history collection. A highlight for me was finding out about the photographer in an interview with his son. Previously we had no information about who actually took the photographs. After the initial call out the name Rodney Huntingford was confirmed as the photographer, and one of his sons got in touch. Sadly, Rodney passed away in 2003 but his son was able to give me a wealth of information about Rodney’s life running the studio. 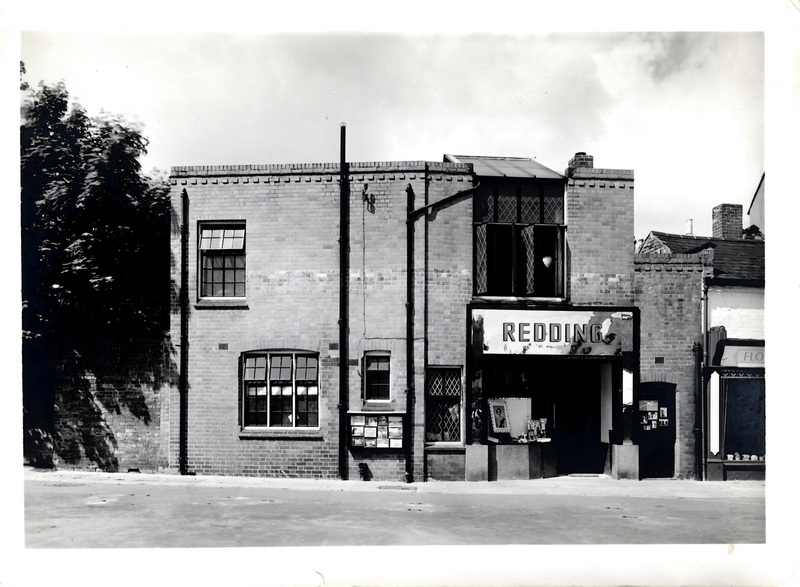 He had purchased the business in the late 1930s from George Redding, a name we knew well, who had had a photography business in the town since 1912. Rodney was a photographic technician in the RAF during the War. His wife ran the studio during his absence and on his return he built his business over many years. Alongside his studio photography he was the official photographer for Rugby School, photographing the houses and sports teams each year. He photographed the town’s Mayor each year and the Queen’s visit to the town in 1967. This gave me a better understanding of the studio’s place in the heart of the community and we hope our knowledge about the archive will continue to grow. Outside the studio – always called ‘the shop’ by Rodney Huntingford. Rugby Art Gallery and MuseumAs part of the funding we produced pop up banners about the research to use in outreach sessions. We also currently have an art exhibition, ‘Journeys to Home’, inspired by the theme of migration in the Redding portraits and have a section in the exhibition based on my research. As a result of this more people have come forward with stories of the studio and identified more portraits. The fellowship also enabled me to research the care the collection needs. This has helped to identify the most vulnerable negatives (which we have discovered are the earliest cellulose acetate negatives) and we will now begin a project to repack and catalogue these.